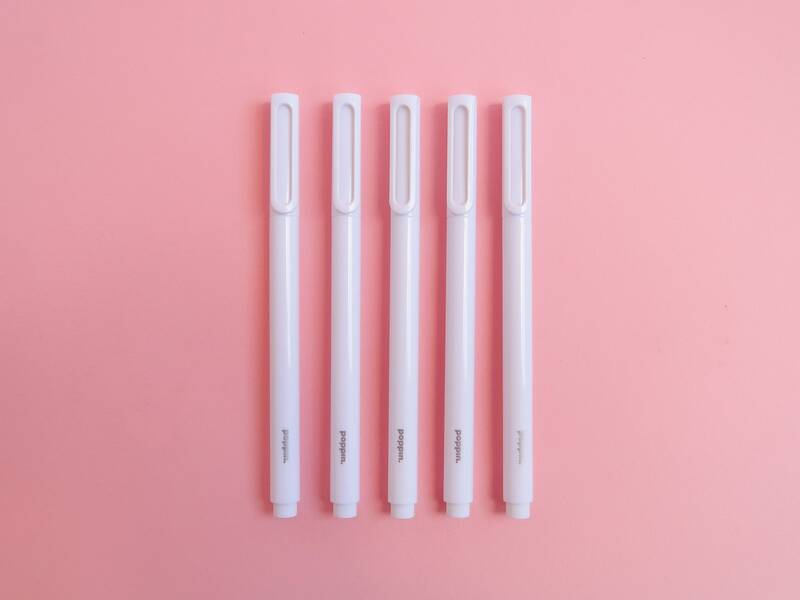 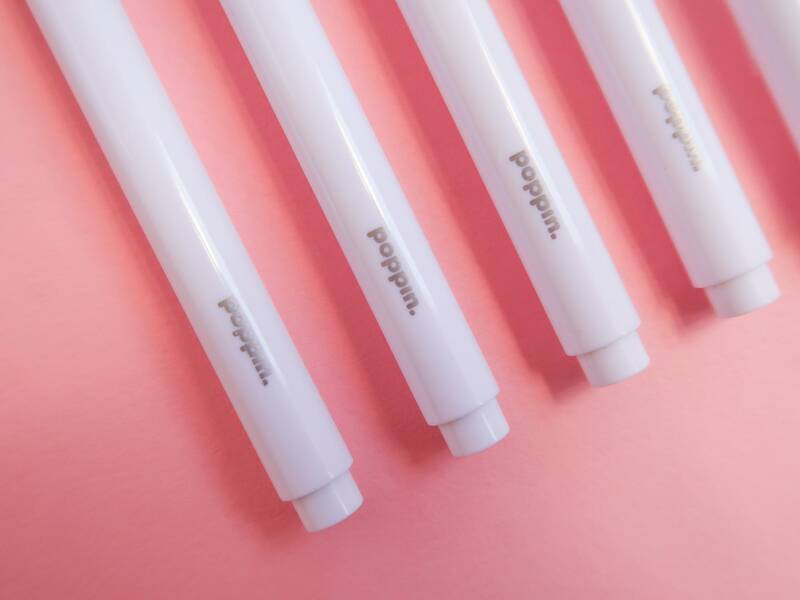 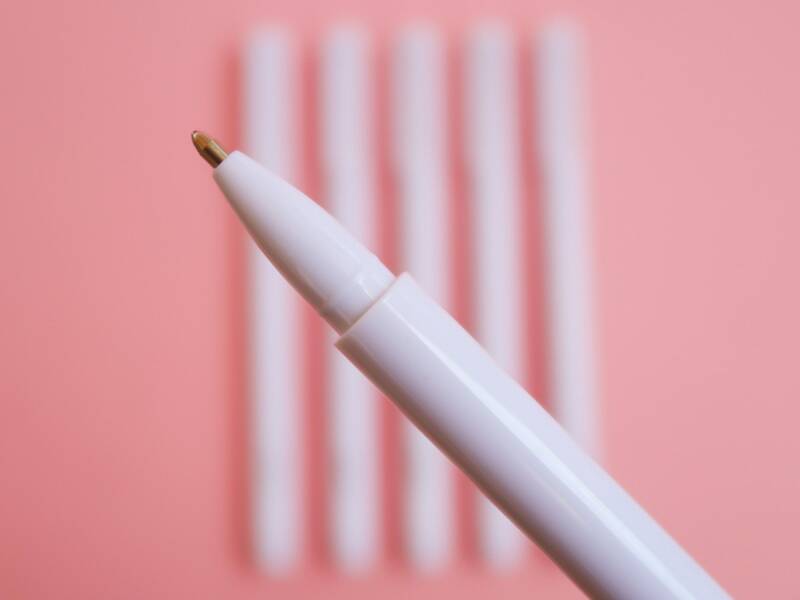 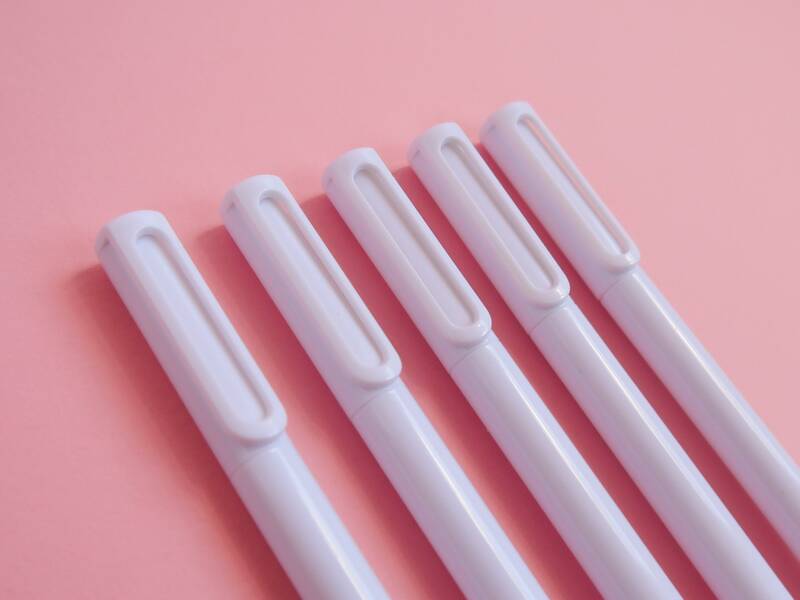 Currently unavailable to order from the UK apart from here at Nikki's Supply Store, these Poppin signature ballpoint pens are a beautifully designed every day writing tool. 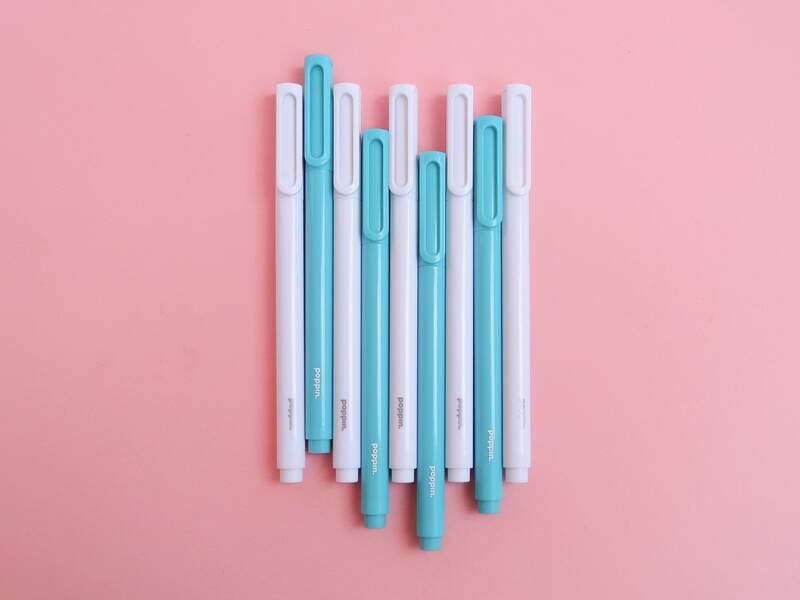 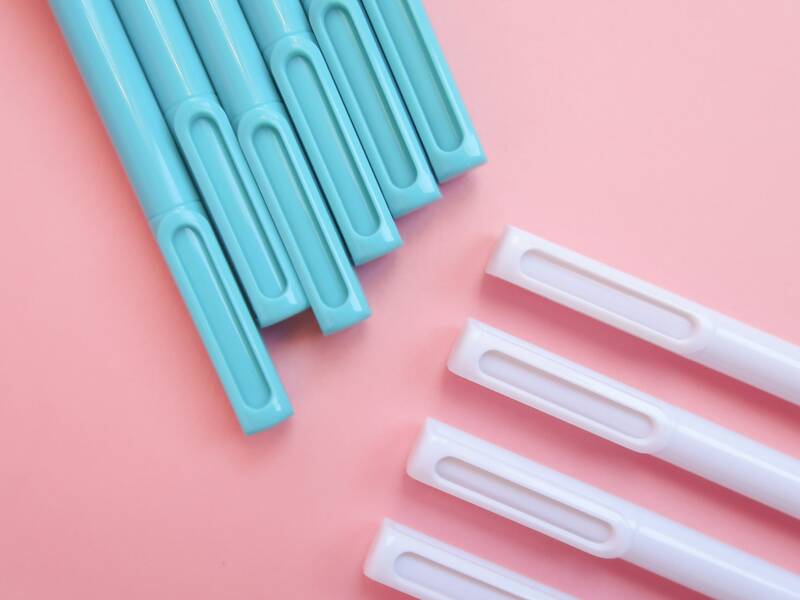 Designed in New York, these ballpoint pens come in either White (black ink) or Turquoise (blue ink) barrels, each with their own lid and coordinating pocket clip. 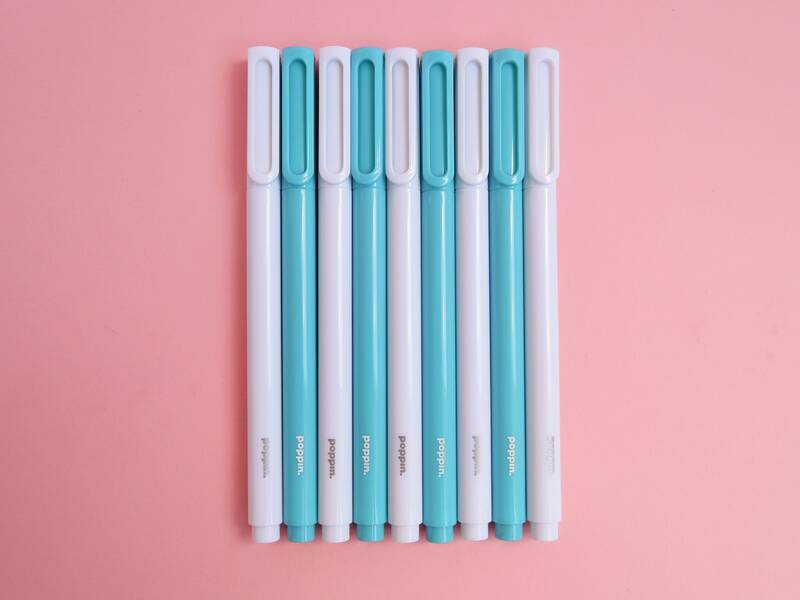 Why not buy one of each colour and switch the lids around for some cool colour blocking? 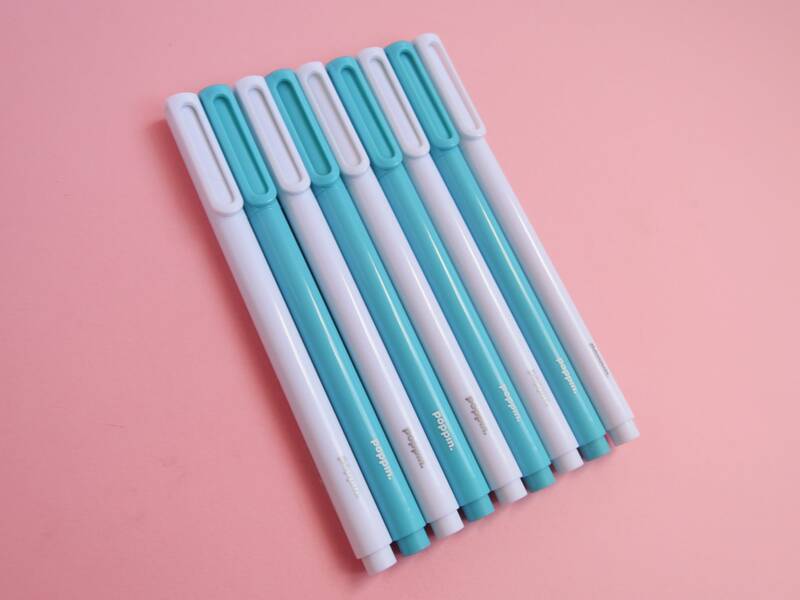 This Poppin ballpoint pen writes 1mm line widths in black/blue ink.